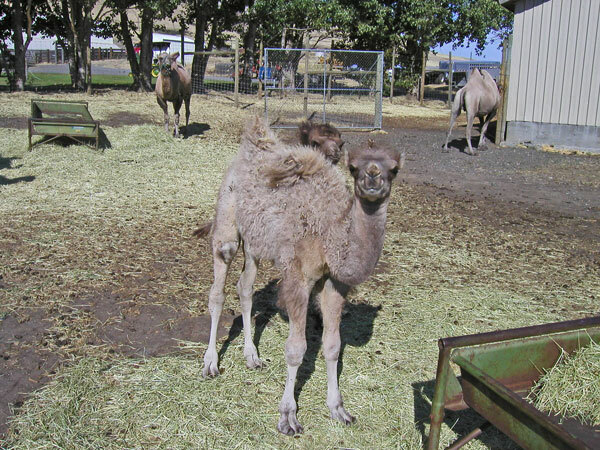 Camel and other exotic animals for sale. 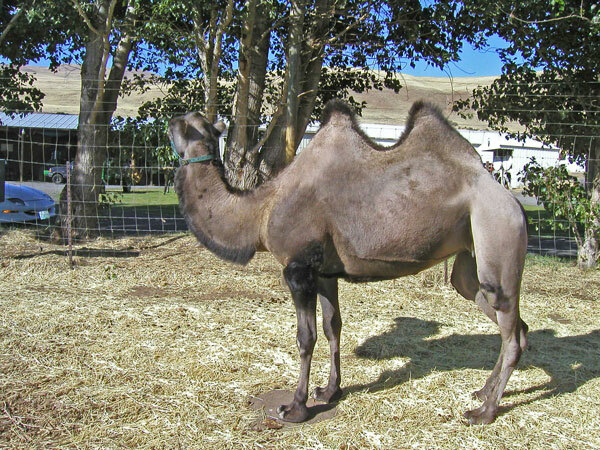 There are two species of Camels, the Dromedary (single hump) and the Bactrian (double hump). 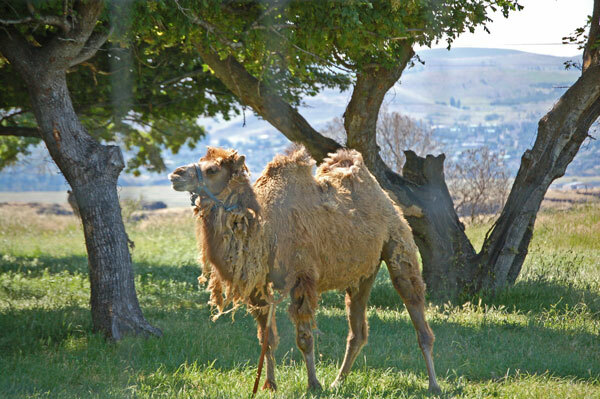 Bactrian camels are rugged cold-climate animals while Dromedaries are desert dwellers. 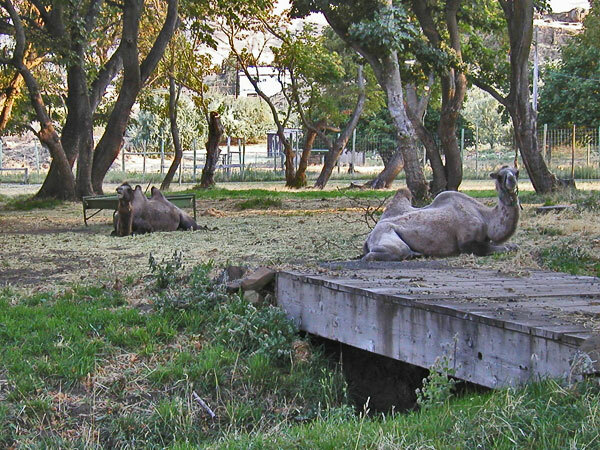 Both are native to the dry desert areas of Asia and northern Africa. 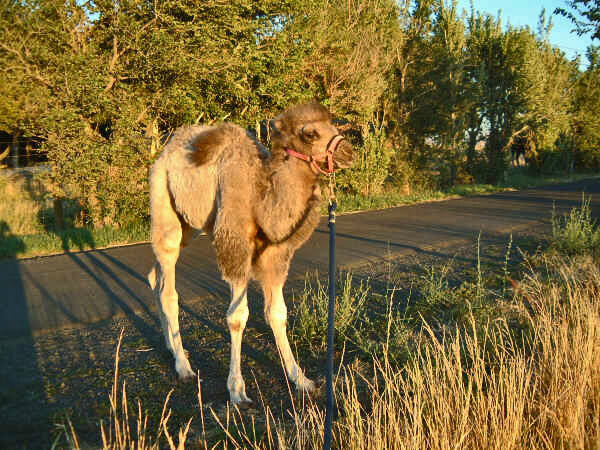 Dromedary/Bactrian hybrids (called Bukhts), are larger than either parent, have a single hump and are good draft camels and are found in Kazakhstan. 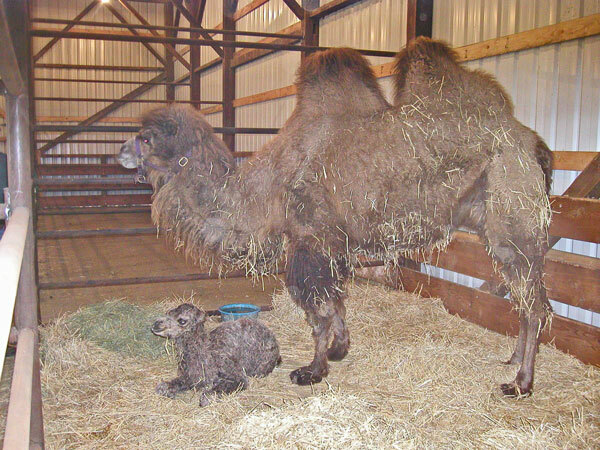 Camels have a gestation period of 12 to 14 months, after which a single young is born. The young is suckled for over a year. 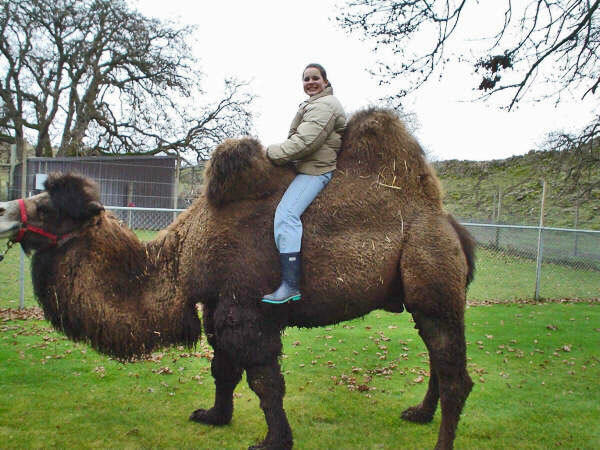 The average life expectancy of a camel is 30 to 50 years. 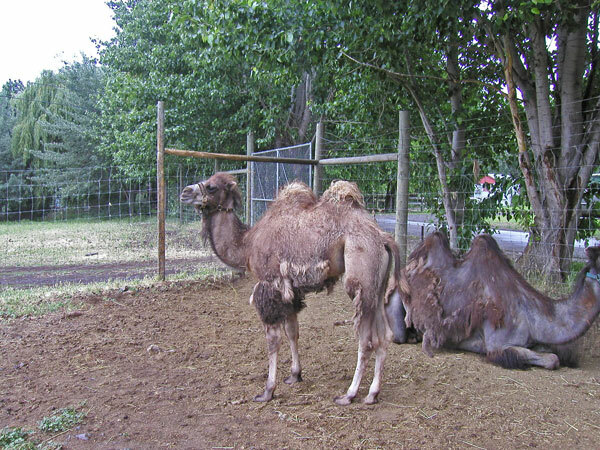 Bactrian camels have two coats: the warm inner coat of down and a rough outer coat that is long and hairy. 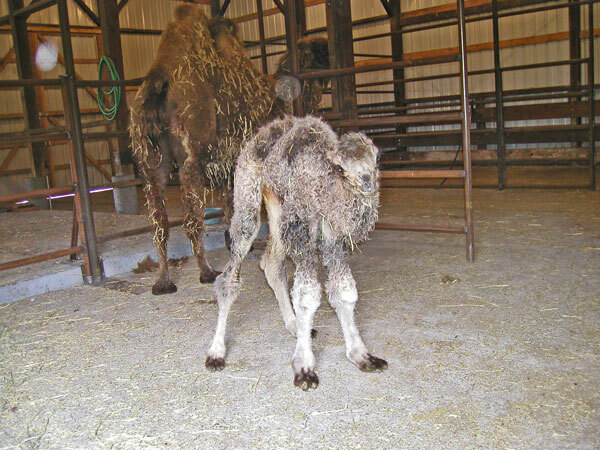 They shed their fiber in clumps consisting of both coats and they produce about 15 pounds (2 kg) of fiber annually. 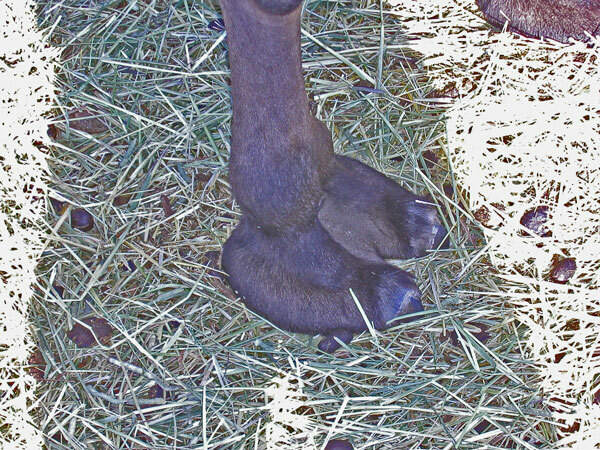 The down is usually 1 to 3 inches (2 to 8 cm) long and structure is similar to cashmere wool. The down is spun into yarn for knitting but it does not felt easily. 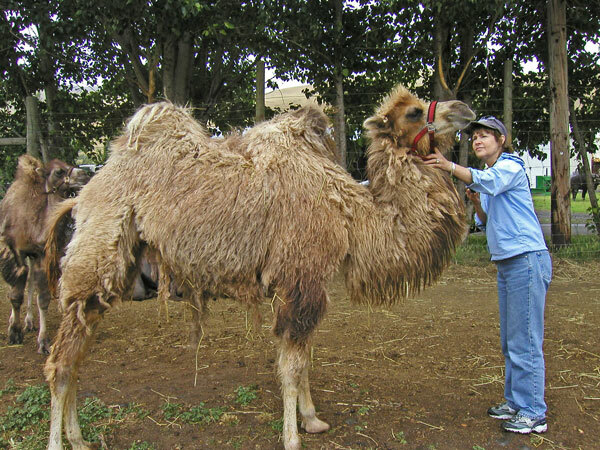 Humans first domesticated camels approximately 5,000 years ago. Their milk is a staple food of desert nomad tribes and is richer in fat and protein than cow's milk. 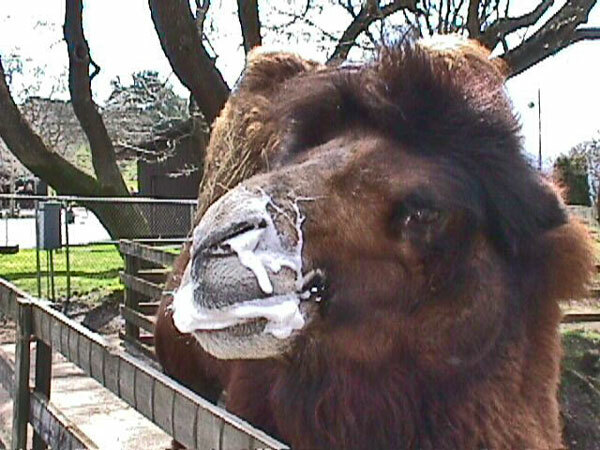 Camel milk is said to have many healthful properties and is used as a medicinal product in India. 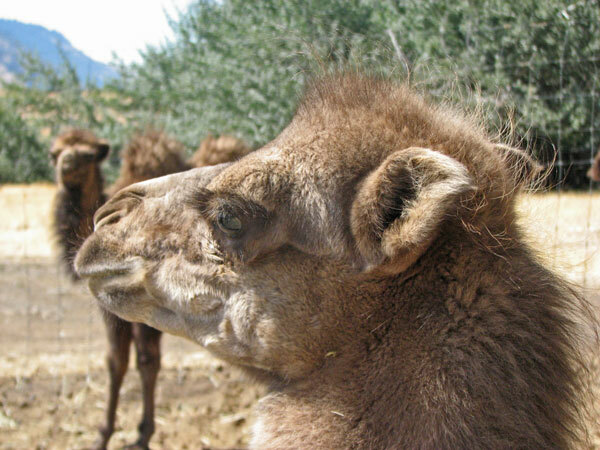 Bedouin tribes believe that camel milk has great curative powers when the camel's diet is of certain plants. 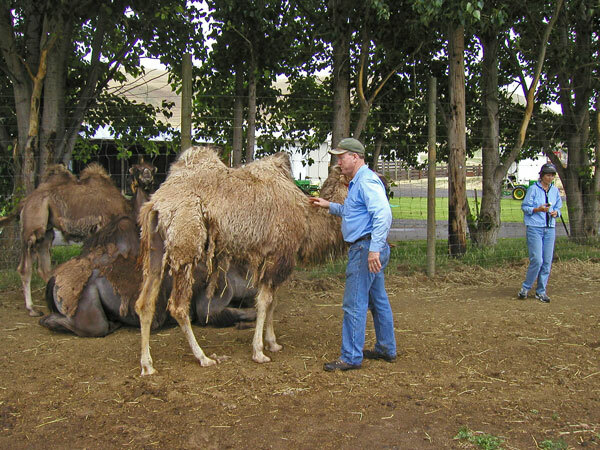 In Ethiopia, the milk is considered an aphrodisiac while other mystical powers are attributed to camel milk in other regions. 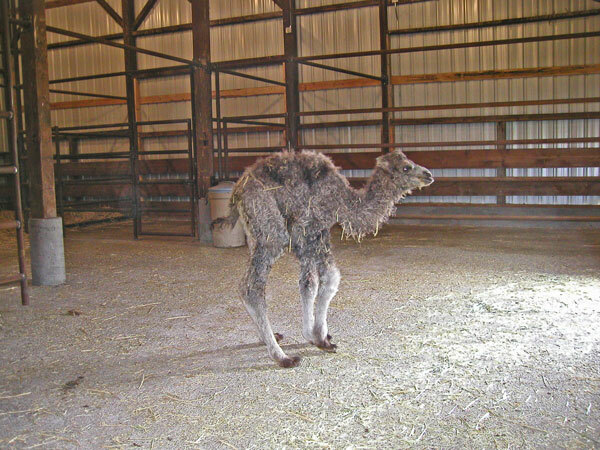 Although there are almost 13 million Dromedaries alive today, the species is all but extinct in the wild. There is a substantial feral population estimated to be 700,000 in the central parts of Australia and descended from individuals introduced as means of transport in the 19th century and early 20th century. 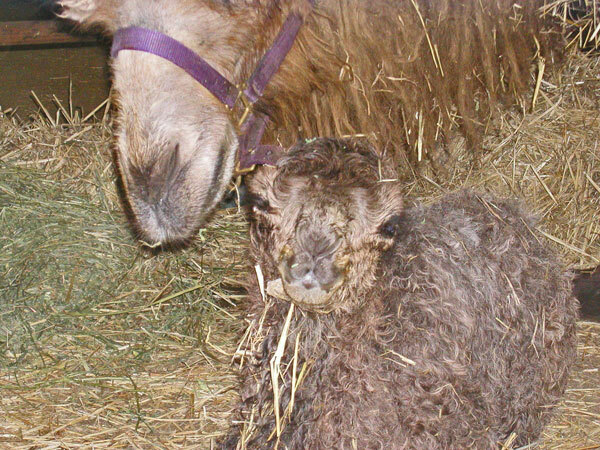 The Bactrian Camel once had an enormous range, but is now reduced to an estimated 1.4 million animals, mostly domesticated. 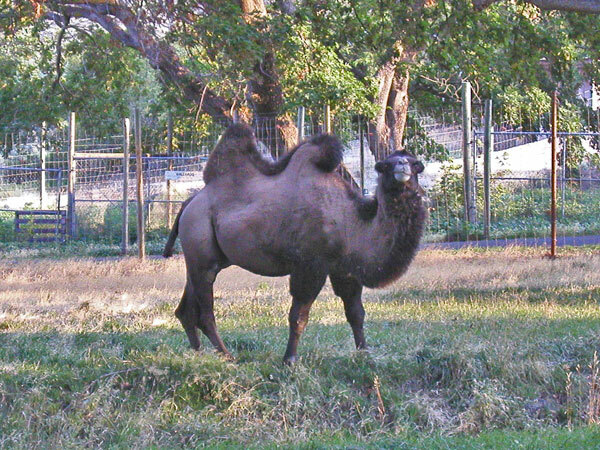 It is thought that there are about 1000 wild Bactrian Camels in the Gobi Desert, and small numbers in Iran, Afghanistan, Turkey and Russia. 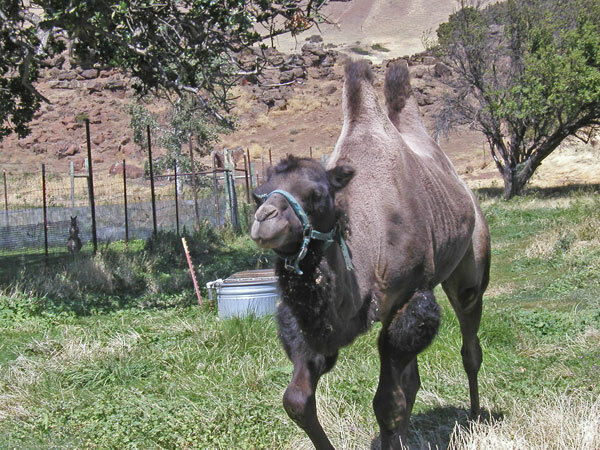 A small population of introduced camels survived in the United States Southwest until the 1900s. 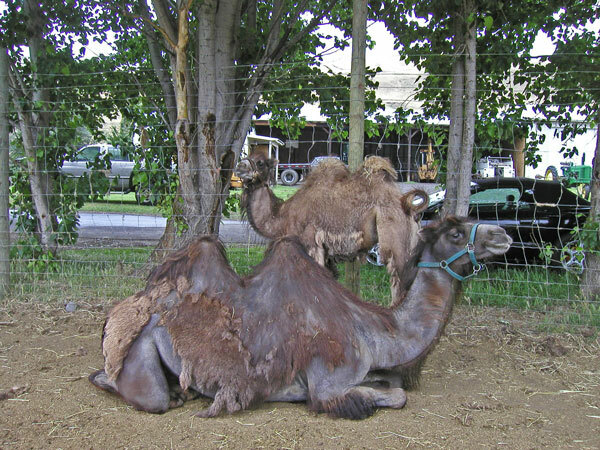 These animals, imported from Turkey, were part of the US Camel Corps experiment and also used as draft animals in mines. Most escaped or were released after the project fell through. 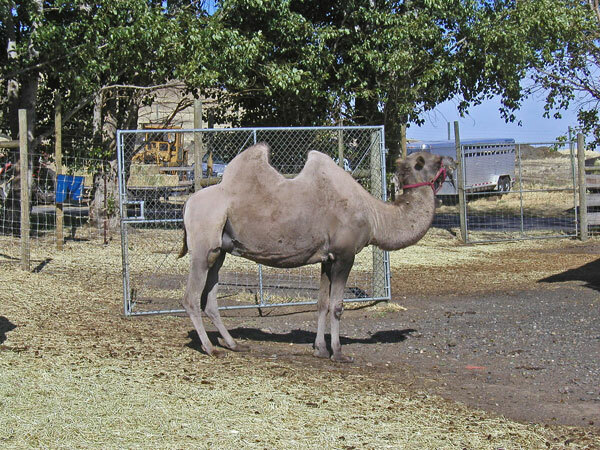 Camels are well known for their humps. They do not literally store water in them as is commonly believed, although they do serve this purpose through a roundabout means. 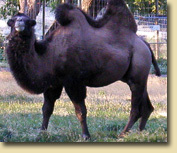 Their humps are a reservoir of fatty tissue, while water is stored in their blood. When this tissue is metabolized, it is not only a source of energy, but yields through reaction with oxygen from the air 1111 g of water per 1000 g of fat. 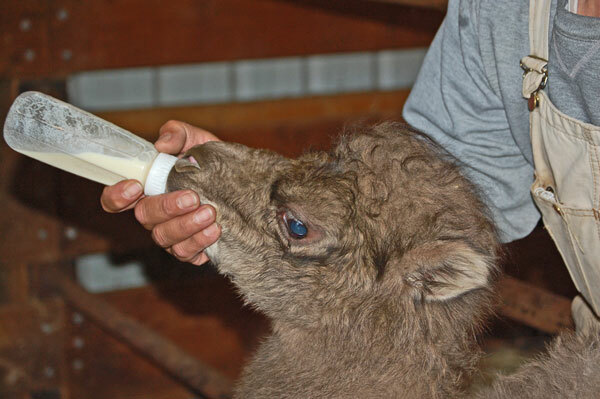 This allows them to survive without water for about two weeks, and without food for up to a month. 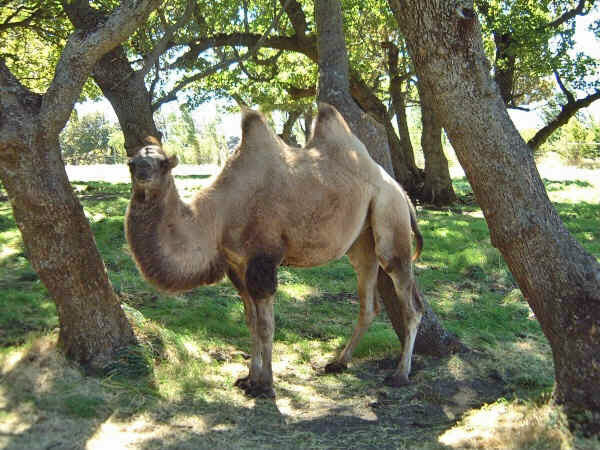 Camels are able to withstand changes in body temperature and water content that would kill most other animals. Their temperature ranges from 93F (34C) at night up to 106F (41C) at day. Only above this threshold do they start to sweat and they can withstand a 25% weight loss due to sweating. The thick coat reflects sunlight. 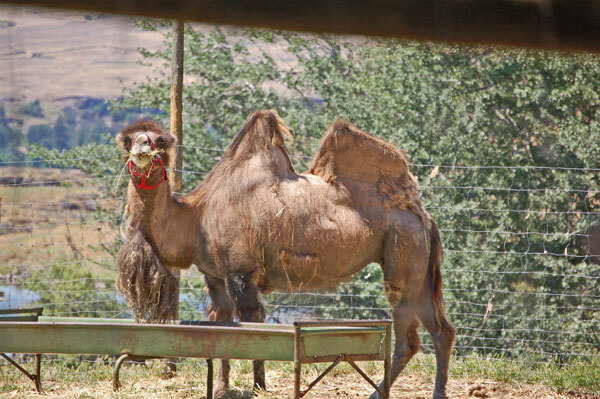 A shaved camel has to sweat 50% more to avoid overheating. Their long legs also help with this by keeping them further away from the sand.